Trumka was elected president of the AFL-CIO in September 2009. He had served as the AFL’s Secretary-Treasurer since 1995. In 1982, he was elected president of the United Mine Workers. Malveaux is president emerita of Bennett College, where she served as the 15th president. She has worked as an economist, author, and commentator. and is the founder of Last Word Productions. Currently the president and founder of Economic Education in Washington, D.C., her newest book, Are we Better off? Race, Obama & Public Policy, will be released in 2015. She is an outspoken activist for issues surrounding race, culture, gender, and their economic impacts. Bass became the executive director of the Bauman Foundation in July 2011. In 1983, he founded OMB Watch, a nonprofit research and advocacy organization that promotes greater government accountability and transparency and increased citizen participation in public policy decisions, and he directed it until moving to the Bauman Foundation. In addition to his role at the Bauman Foundation, Bass is an affiliated professor at Georgetown University’s McCourt School of Public Policy, where he teaches about nonprofit advocacy and social change. Bass received a combined doctorate in psychology and education from The University of Michigan. Héctor R. Cordero-Guzmán is a professor at the School of Public Affairs at Baruch College of the City University of New York (CUNY). He is also a professor in the Ph.D. programs in sociology and in urban education at the CUNY Graduate School and University Center. Prior to joining the School of Public Affairs at CUNY, Cordero-Guzmán was a program officer in the Economic Development and the Quality Employment units of the Asset Building and Community Development Program at the Ford Foundation. Cortés is the national co-director of the Industrial Areas Foundation (IAF), a nonprofit organization founded in Chicago by the late Saul Alinsky. Cortés’ affiliation with the IAF officially began in 1972 when he attended the organization’s organizer training institute in Chicago. In the following years Cortés founded community-based organizations in cities throughout Texas and the southwest that are now called the Southwest IAF Network. 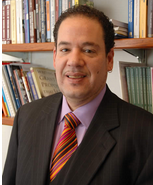 Cortés has received numerous awards and fellowships for his work, including most recently the H. J. Heinz Award for Public Policy and an appointment as a Martin Luther King Visiting Professor at MIT in the Department of Urban Studies and Planning. Ellison has represented Minnesota’s 5th congressional district in the U.S. House of Representatives since January 2007. Ellison’s roots as a community activist and his message of inclusivity through democratic participation resonate throughout his district. His priorities in Congress are promoting peace, prosperity for working families, environmental sustainability, and civil and human rights. He sits on the House Financial Services Committee and on the House Democratic Steering Committee, which determines the party’s platform and committee assignments. 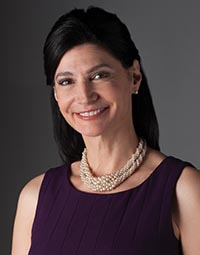 García is president of the National Education Association, the nation’s largest labor union. She is the first Latina to lead the NEA and one of the country’s most influential Hispanic educators. Prior to assuming the top post, she served two terms as NEA vice president and secretary-treasurer. She became a vocal critic of the standardized testing movement and raised alarms on the outsize role that testing is playing in public education. Gerard is the international president of the United Steelworkers. In his first full term he increased membership by 60 percent. The union has strengthened workers’ bargaining leverage by forging strategic alliances with unions worldwide. 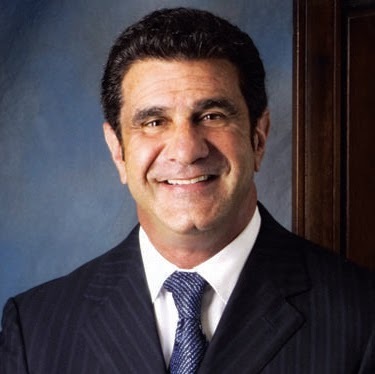 Ghilarducci is a labor economist and nationally recognized expert in retirement security. She serves as the Bernard and Irene Schwartz Chair of Economic Policy Analysis at the New School for Social Research and director of the Retirement Equity Lab (ReLab). Her upcoming book, How to Retire With Enough Money: And How To Know What is Enough, provides a common sense blueprint to successfully save for retirement. Hacker is the director of the Institution for Social and Policy Studies, and Stanley B. Resor Professor of Political Science at Yale University. He is also a board member of The Century Foundation and The American Prospect, a member of the Scholars Strategy Network steering committee, and a former Junior Fellow of the Harvard Society of Fellows. An expert on the politics of U.S. health and social policy, he is author of several books about economic insecurity and the need for health care reform, including Winner-Take-All Politics: How Washington Made the Rich Richer and Turned Its Back on the Middle Class. Chief Economist Susan Helper is on leave from the Weatherhead School of Management at Case Western Reserve University, where she is the Frank Tracy Carlton Professor of Economics. She was formerly the chair of the Economics Department, and has been a visiting scholar at University of Oxford, the University of California (Berkeley), Harvard University and the Massachusetts Institute of Technology (MIT). Her research focuses on the globalization of supply chains, and on how U.S. manufacturing might be revitalized. Mary Kay Henry is international president of Service Employees International Union, where she has worked since 1979. She was elected to the SEIU International Executive Board in 1996. After her election as an SEIU international executive vice president in 2004, she led efforts to build a stronger voice for health care workers. Herman was the first African American to become the Secretary of Labor, serving during President Bill Clinton’s second term. As the chairman and CEO of New Ventures, Inc., Herman advises corporations on theory and tactics for bringing diversity to the workplace. Johnson is president of the Institute for New Economic Thinking and a senior fellow and director of the Global Finance Project for the Franklin and Eleanor Roosevelt Institute in New York. He recently served on the United Nations Commission of Experts on International Monetary Reform. Previously he served as managing director at Soros Fund Management and Bankers Trust Company, and as chief economist of the U.S. Senate Banking Committee and senior economist of the U.S. Senate Budget Committee. Thea Lee has been president of the Economic Policy Institute since 2018. Lee has a longstanding relationship with EPI, having begun her career here as an international trade economist in the 1990s. She has spent her career advocating on behalf of working families in national policy debates on issues such as wage inequality, workers’ rights, and fair trade. She is co-author of The Field Guide to the Global Economy, published by The New Press, and has authored numerous publications on the North American Free Trade Agreement, the impact of international trade on U.S. wage inequality, and the domestic steel and textile industries. Liebman is serving as a visiting distinguished scholar, 2015–16, at Rutgers University’s School of Management and Labor Relations. She served as chair of the National Labor Relations Board from January 2009 to August 2011. She was first appointed to the NLRB by President Clinton and was reappointed by President Bush. Before joining the NLRB, Liebman served as deputy director of the Federal Mediation and Conciliation Service (FMCS). Prior positions include labor counsel for the Bricklayers and Allied Craftsmen, legal counsel to the International Brotherhood of Teamsters, and staff attorney with the NLRB. Lisa M. Lynch is Provost and the Maurice B. Hexter Professor of Social and Economic Policy at the Heller School for Social Policy and Management at Brandeis University. Lynch served as chief economist at the U.S. Department of Labor from 1995 to 1997 and has been a faculty member at the Fletcher School of Law and Diplomacy at Tufts University, the Sloan School of Management at MIT, Ohio State University, and the University of Bristol. She has published extensively on how young adults transition from school to work, the returns to public and private investments in training in the United States and in other countries, and the role of organizational innovation for productivity and wages. Robert Martinez, Jr. currently serves as the International President of the International Association of Machinists and Aerospace Workers (IAM). Previous to his installment as International President, Martinez served as IAM Headquarters General Vice President (GVP) with responsibility for IAM Headquarters and the William W. Winpisinger Education and Technology Center. A United States Navy veteran, Martinez began his IAM career in 1980 as a member of Local 776A in Ft. Worth, TX after being hired as an Aircraft Assembler at Lockheed Martin’s Fort Worth Division. Ness is the president of the National Partnership for Women & Families. Before assuming her current role, she served as executive vice president for 13 years. 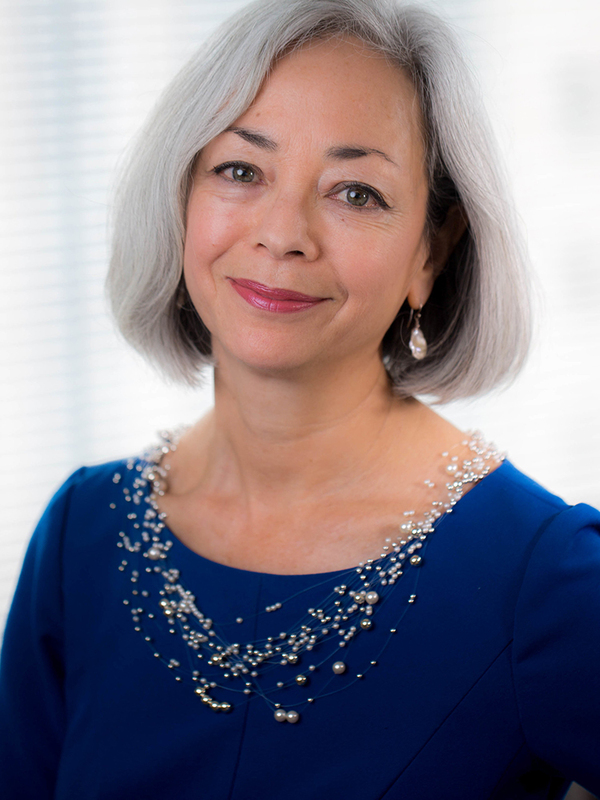 Ness has played a leading role in positioning the organization as a powerful and effective advocate for today’s women and families, and she serves on the boards of some of the most influential organizations working to improve health care. Previously, Ness worked in numerous capacities at the Service Employees International Union and the National Abortion Rights Action League. Perez currently serves as chair of the Democratic National Committee (DNC). 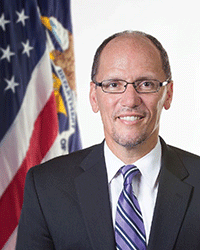 Prior to chairing the DNC, Perez served as the 26th U.S. Secretary of Labor, fighting to protect and expand opportunities for America’s working people – from better wages and overtime pay, to retirement security and collective bargaining rights. 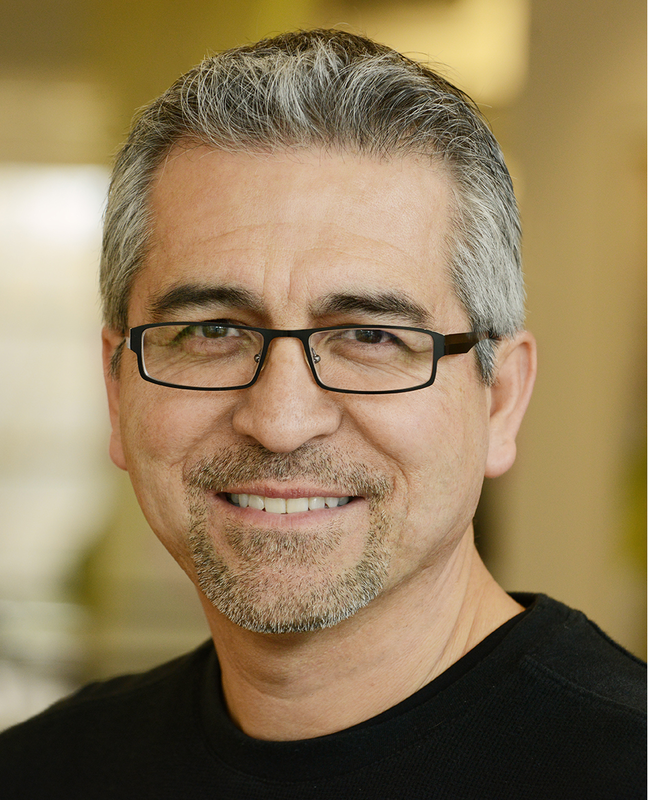 Ruelas is cofounder, chief marketing officer, and managing partner of LatinWorks, an advertising agency specializing in cultural branding, headquartered in Austin, Texas. Ruelas had an accomplished 18-year career in the beverage industry, including 13 years at Anheuser-Busch, where he rose through the ranks to lead multicultural marketing for the United States and Puerto Rico. He has been an active participant in the business and philanthropic communities, including as a mentor with American Corporate Partners. Saunders is president of the American Federation of State, County and Municipal Employees, AFL-CIO, which represents 1.6 million members. 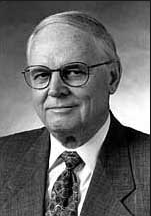 Previously he served as secretary-treasurer. Saunders began his career with AFSCME in 1978 as a labor economist. He has served in the capacities of assistant director of research and collective bargaining services, director of community action, deputy director of organizing and field services, and executive assistant to the international president. 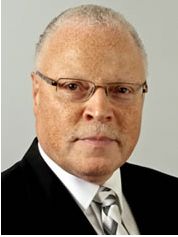 Christopher M. Shelton currently services as the president of the Communications Workers of America. Previously, Shelton was vice president of CWA District 1, representing 160,000 members in more than 300 CWA locals in New Jersey, New York and New England. Shelton started his union career when he went to work for New York Telephone in 1968 as an outside technician. He was elected a CWA Local 1101 shop steward in 1968 and served Local 1101 in various positions until December 1988 when he joined the CWA national staff. Smith is chief executive officer of American Income Life Insurance Company and president of the Labor Advisory Board. He joined American Income Life in 1975 and quickly excelled as a field associate rising through executive positions in the field and at the national office. He has received recognition in a number of service areas and served on the boards of many organizations, including Alliance for Retired Americans and Elderly Housing Development and Operations Corporation. Randi Weingarten is president of the 1.6-million-member American Federation of Teachers, AFL-CIO, which represents teachers; paraprofessionals and school-related personnel; higher education faculty and staff; nurses and other healthcare professionals; local, state and federal employees; and early childhood educators. Prior to her election as AFT president in 2008, Weingarten served for 12 years as president of the United Federation of Teachers, AFT Local 2.